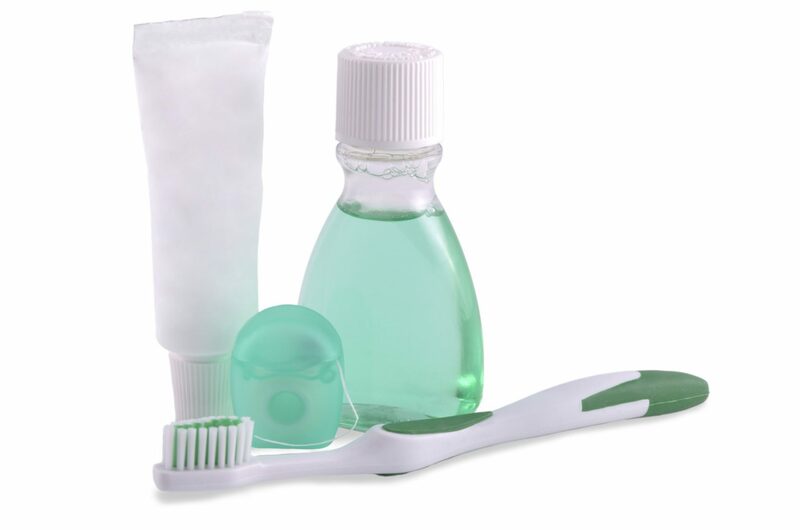 There are two types of toothbrushes on the market today – manual and electric. While there are benefits to both, the brushes themselves can wear out and accumulate bacteria. Manual brushing enables full control from the amount of pressure and movements applied to teeth, which perhaps an electric toothbrush cannot allow because of its rapid and mechanical vibrations. The benefits of electric toothbrushes are quite obvious; when in use, the bristles are able to do more than a regular toothbrush, such as massaging gums and pulsating in between the tight cracks between our teeth, giving us that “straight-from-the-dentist” clean feeling. Whether you prefer this modern way of dental hygiene or a more traditional, inexpensive method, our teeth still take their toll on these devices and wear them out. What’s more, some researchers show that 10 million germs can be living in our toothbrush! 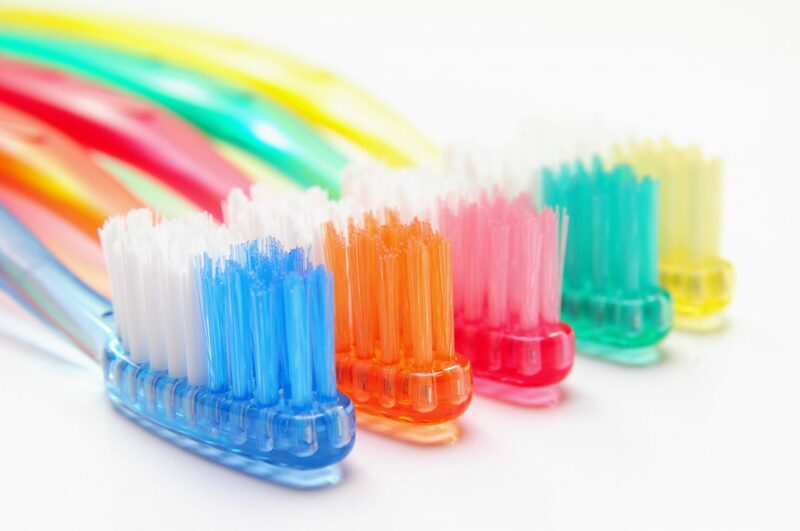 A toothbrush can become a breeding grounds for harmful bacteria if it is not properly stored. For best results, most experts say to replace your toothbrush every three months (if you use an electric, that means replacing the “head”, or the attachment of the toothbrush). 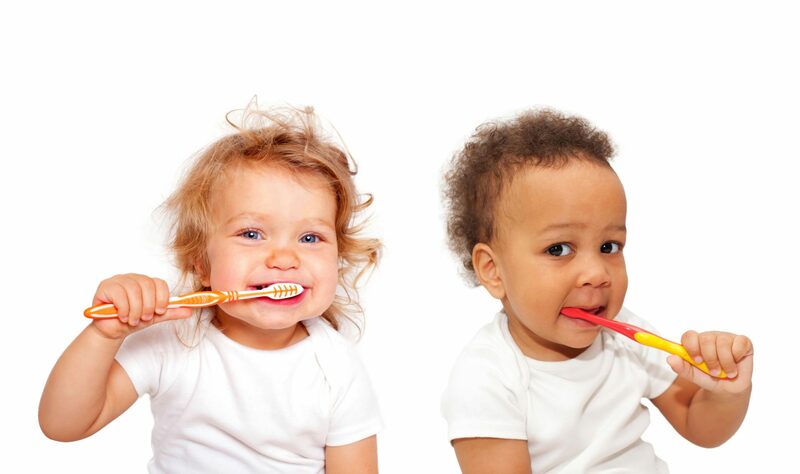 Children may need to replace theirs more frequently because they tend to apply more pressure when brushing. Kids may grow attached to their toothbrush (especially if it has their favorite Disney character on it!) but once the bristles start to bend outwards, dentists say the toothbrush is no longer effective, and should be thrown away. Because the bristles of our toothbrush wear out so quickly, the American Dental Association recommends rinsing your toothbrush under the faucet between brushings to wash away saliva and toothpaste residue, and to store it upright so the bristles can air dry. If you’re a parent that is extra cautious of bacteria, soak it in rubbing alcohol when not in use, then rinse with water thoroughly. It can be a difficult task to keep track of how long it has been since each toothbrush in the house has been replaced, especially if you have more than one kid! But remember that your child will receive a new brush with each dentist visit, and these visits occur (at the very least) every 6 months for cleaning. That means you only have to replace it once again, somewhere along the midpoint, between each visit. *Tip: Instead of remembering to put them on the shopping list every so often, keep your bathroom cupboard or closet stocked with unopened toothbrushes. 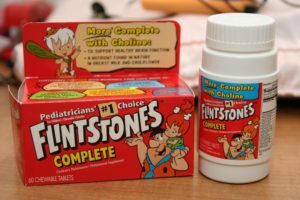 (Many stores have value packs you can purchase which contain several in a pack). 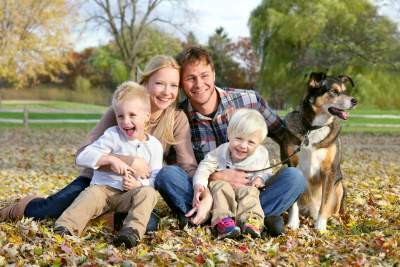 This will make the transitions more convenient for you and your family. While brushing and flossing alone reduces the amount of bacteria in your mouth, did you know that over 50% of oral bacteria sit on your tongue? This bacteria is often responsible for bad breath and can also contribute to tooth decay, so properly removing it can greatly reduce the occurrence and keep breath fresh, for much longer. Caring for your tongue is just as important as the teeth and gums, so don’t leave it behind! The mouth is one of the main gateways for pathogens into your body and is also the beginning of your digestive tract. Your tongue is actually the first organ of digestion, aiding food down the esophagus as you swallow. It is also a mode of detoxification and is part of the first line of immune defense. Since up to half of oral bacteria can sit on your tongue, if you’re only brushing teeth and gums, you are leaving behind quite a bit of bacteria in your mouth as well as swallowing some of it, sending it back into your body. Bacteria isn’t the only thing on your tongue either. Food debris and dead skin cells often find their home on the surface of your tongue. Bacteria buildup on the tongue can begin to look quite obvious. Have you ever noticed a coating on your tongue or that of your child’s? This coating is an accumulation of mostly bacteria and toxins from the body’s cleansing and detoxifying process. During sleep, the body works to eliminate toxins and waste in your system, some of which deposit on the surface of your tongue. This is often why you can see this coating primarily in the morning. Kids generally have pretty clean, pink tongues. As we get older though, we consistently develop this coating on the back of the tongue which can vary in color from yellow, white or even orange. Breast or bottle fed babies can also develop a coating as well. When this coating isn’t removed, not only can we reabsorb the bacteria and toxins, but it often results in bad breath, increased risk for cavities and gum disease. This coating also Keeping your mouth and tongue clean is not only important to your oral health, but also that of your digestive and immune health. Dental research has long concluded that scrapers are far more effective at removing bacteria and toxins than a toothbrush. Tongue scrapers are uniquely shaped to fit in the back of the mouth, where the coating generally accumulates the thickest. They are made of metal in a long, flat, and thin “U” shape. It is designed for ease of use and to clean more thoroughly than scrubbing with a toothbrush. Many modern toothbrushes are designed with raised rubber or plastic scrapers on the backside of the bristle head as well. You may also use the edge of a metal spoon or the backside of a butter knife. Using a toothbrush to scrub the tongue not only takes far more time and work to accomplish, but is also quite prone to cause gagging, which no one is too fond of, and can be difficult to clean out of the bristles. You can find scrapers at most health stores or drug stores in the oral hygiene section. Scraping is best done daily before brushing and flossing in the morning hours, say, after breakfast before you brush and floss for the day. 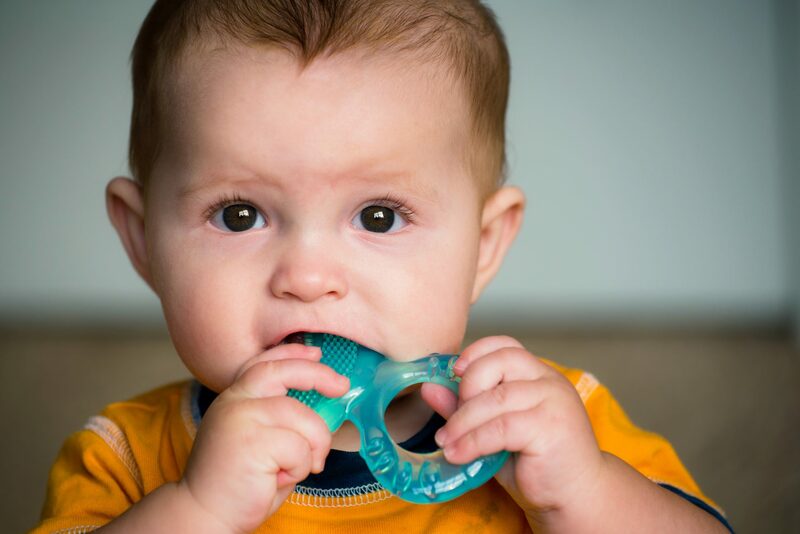 Whether you are doing this yourself or you are doing so for your child, with a scraper in both hands, hold out your tongue or ask you child to and gently press the scraper on the tongue and pull lightly in a downward motion, but enough to pull the coating off. Repeat as needed until the tongue is clean and clear. Rinse the scraper and store in a clean place. If you are using a built-in toothbrush scraper, a spoon, or butter knife edge, you may need to repeat several times to cover the surface of the tongue. Many young toddlers and babies become interested in the fun gadgets tucked away in the kitchen cabinets, rather quickly. You might have caught your own little one rummaging through your freshly washed and stacked pots and pans. A child’s curiosity is an opportune time to teach them about the world around them, how things work, and how they can play a part in it. Did we say play? Yes, and as a matter of fact, play in the kitchen is a perfect time to introduce your child to the valuable, and rather necessary art of food preparation and cooking. Whether your child is just 1, 5 or 10 years old, there is likely something with the kitchen preparations they can participate in. While it may cost you more time in the kitchen, cooking skills are a vital part of life and children definitely need to learn the basics about how to prepare food and meals for themselves and eventually their own families someday! Studies have shown that children who help with cooking and food preparations are far more likely to eat healthier, which in turn could mean healthier, happier smiles too. 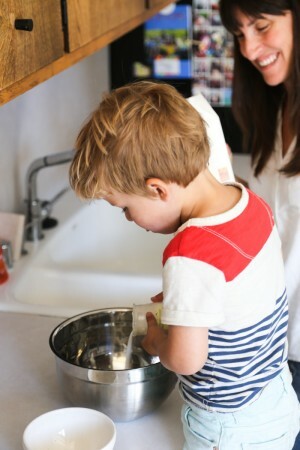 Here, we would like to give you 10 suggestions for kitchen duties and food items your kids can easily help with, which will lay a great foundation to build upon as they grow and are able to handle more difficult preparations in the kitchen. Baking is one of the most popular firsts for children’s involvement in the kitchen. It comes at no surprise, sweet treats are always a fun delight to make! Have them help you measure out your ingredients such as flour, butter, salt, sugar, chocolate chips, etc. Depending on their age and ability, ask them things like, “the recipe calls for 1 cup, but we are using a half cup, what can you do?” Color coded measuring cups can help your kids distinguish sizes and plastic measuring saucers will prevent any breakage in the case of drops and tip-overs. Whether you are a stay at home parent, working parent, or have school age children, every kid needs a lunch, plain and simple. As a parent, you already have many things to do on your plate, pun intended. From Kindergarten on, most kids are capable of making their lunches, maybe with a little guidance and supervision at first. You can make a list of things they can prepare and walk them through it a time or two. Let this be a time for them to ask for help and also to figure it out on their own. If your child isn’t quite ready to rummage the fridge on their own, line up the items they need, in the fridge and on the counter, and use pictures with words as their list for things to make for lunch. Give them a choice of two or three options they can make for themselves. For most grains, the water:dry good ratio is usually 2:1, pretty simple. If you have a rice cooker or even just a pot, have your kids, measure, rinse, pour and cover things like rice, quinoa, oatmeal, beans, and noodles. You can turn on the oven or allow older children to do this also, and set the timer. Keep a little list of what cooks for how long, and how high the temperature. Supervise and assist as necessary! If you don’t have a garlic press or mincer, consider getting one! This can be one of the most enjoyable activities for kids to do and saves a lot of time trying to manually peel and chop garlic. This can quickly become a game of strength between siblings too! Season veggies, meats, pasta sauces and make garlic bread. Pressing lemon or orange juice is also a great way for them to enjoy some fresh squeezed juice or use for recipes. 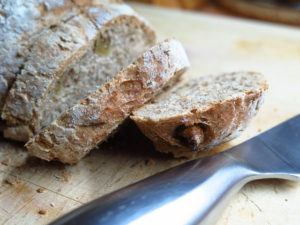 Toast is one of the most simple things to “make” and it can be dressed in so many ways for any kind of meal. For breakfast, add bananas and honey with some cinnamon. Lunch, butter it and serve with soup or make BLT’s. For dinner, make some garlic bread or serve stroganoff on top. Show your kids where to adjust the time the toast broils and tell them to try their best not to jump when the toast pops up! This could sound a bit scary, but there are several safer options you can give older children to use, such as crinkle cutters, to chop veggies into a neat shape they may eat! Kitchen scissors are also an option to cut foods like quesadillas, pizza, and carrot tops. 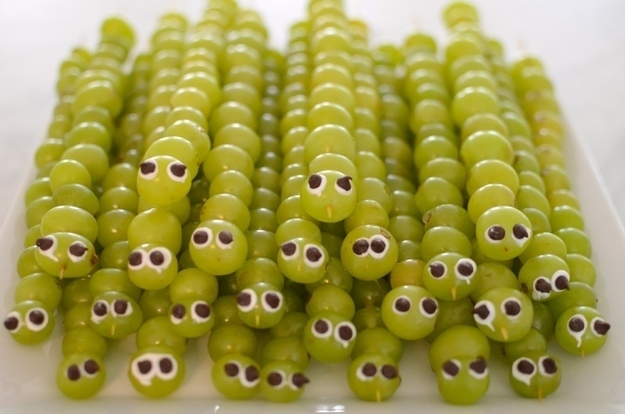 Often a tedious task, this can be fun and entertaining for kids. If you don’t wash your produce, you should! Supermarkets often have produce wash in the produce section but you can also make your own with equal parts vinegar to water or use Castile soap. When you are in the middle of putting a soup, salad, or cookie batter together, recruiting one of your kids for stirring duty while you continue on another dish or collect ingredients could be a great option for you both! Mashing potatoes is a fun chore too! Perhaps one of the greatest ways to get your kids involved in the kitchen is planning meals together. This can help you get to know their tastes and teach them about a balanced diet. Sit down with a pen and paper to write out some meals and a corresponding shopping list together. Bonus: Take them grocery shopping with you! Another valued skill is teaching kids how to pick out delicious, ripe produce, spot sales, and shop to budget. Young kids can help collect things like canned goods (watch for stray items!) while older kids can help you find the right aisel and cross items off your list. Last but definitely not the least, cleaning up the kitchen. After all the fun is done, have kids help you collect dirty dishes, pots, leftovers, trash, and take care of it. Young kids can easily load the lower dishwasher rack (with some help perhaps) and older kids can grab a stool or chair and help out with the dirty work in the sink, wipe counters, put away food and leftovers, sweep, mop, etc. Recruiting your little ones into the kitchen can be a fun and enjoyable experience. Your kids won’t forget it, neither will you, and the time spent together is time spent well. In teaching your children about food and cooking preparations, you are creating a positive, healthy perspective in them toward food and home duties as well as preparing more than just a meal; you prepare them for their own future and leave them with great memories, messes and all. Immunity: Remember The 4-S’s of Health! The human body has an incredible defense system that works systematically to keep foreign invaders and nasty illnesses at bay. The immune system is this line of defense, but there are really several systems that play a role in your body’s immunity. Like just about everything, the immune system isn’t perfect and it can fail, and often does for some. There are many health conditions that can weaken immunity, along with poor health and lifestyle habits. At this time of year, illness is much more common and frequent. 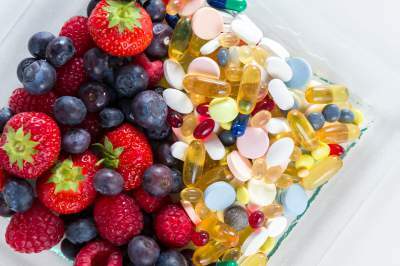 The idea of boosting your immunity with this supplement or that drink mix seems enticing and makes a great marketing tool, however, we need to understand that the immune system is a bit more complex, as it isn’t a single function, but rather exactly as it is named: a system. For the immune defense of your body to do it’s job well, it needs balance and harmony. The immune system is made up of a network of cells, tissues, and organs that all need to be in good health in order to contribute their role in keeping you healthy and thriving. In this article, we hope to help you understand that immunity “boosting” is really a lifestyle and that some of these tips can help you make wise choices for your family healthy and wellness this season. Keep reading! We were all born with the basic, physiological need for sleep, and for a great reason, without it, our bodies will shut down. It is common knowledge that a lack of sleep, especially on a regular basis, contributes to a box-full of health problems.Tests and studies have found that lack of sleep causes an inflammatory response which can then lead to an array of problems in itself. Also, it has been found that adequate sleep is critical to training the immune system’s response following vaccinations. Have you ever noticed that one of the symptoms of illness, with just about every kind you can get, is sleepiness? This is because our immune system is informing the brain to sleep more in order to strengthen itself to fend off the infection. Sleep is strength, and for many reasons, we need it! aim for 7-8 hours of sleep per night, and for kids, 9-10. Luckily, with our shorter hours of daylight and fewer activities due to weather, this can more easily be done! Sugar is sweet, but it isn’t nice! Sugar is something we all know by now isn’t good for us, but do you know why? Let’s talk in regards to immunity, because we could be here all day with this one. Sugar can reduce your immunity up to 40% for about 7-8 hours following a moderate consumption. That’s quite a blow! Sugar seems to be squeezed into a large amount of our food products, so be careful about what you eat and start incorporating more fruits, but even more vegetables and proteins into your family diet. One of the best ways to incorporate more vegetables would be in soups, perfect for this time of year. Beans, onions, carrots, celery, spinach, kale, potatoes, sweet potatoes, etc. Make a big pot of soup with bone broth, garlic, seasonings, beans, rice, noodles, different meats… you get the idea! For breakfast, you can make bowls of oatmeal and top with diced fruits and yogurt. 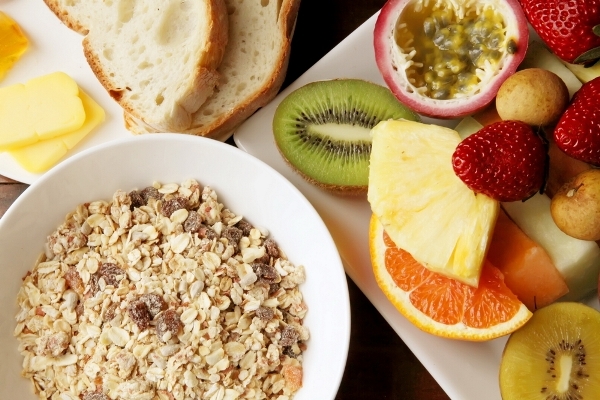 Avoid breakfast cereals since they contain a lot of added sugar, not to mention the sugar content in milk combined. Though a natural, digestible and useable sugar, fruit is still sugar so try to limit your daily amount. 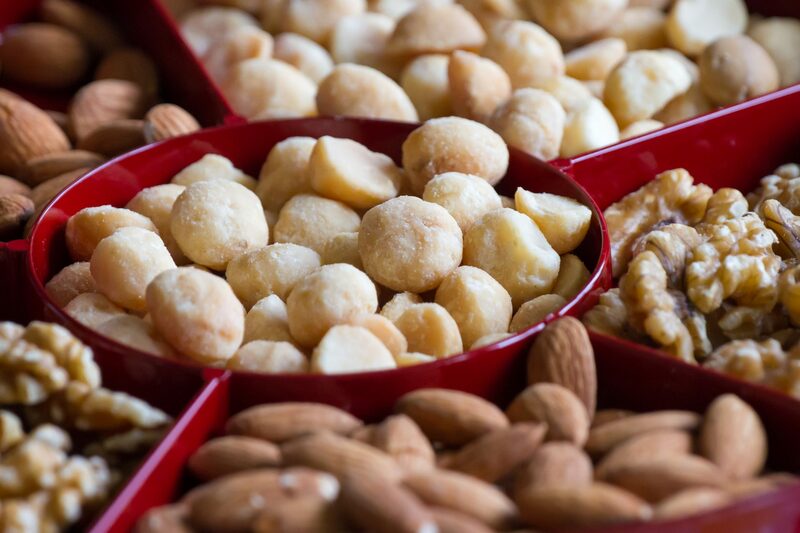 If you get a sweet tooth, opt for naturally sweetened foods and try some of your own recipes at home and use less sugar than the measured amount. There are many great options for reducing sugar consumption and making healthier choices without opting for “no sugar” processed options which contain artificial sweeteners. 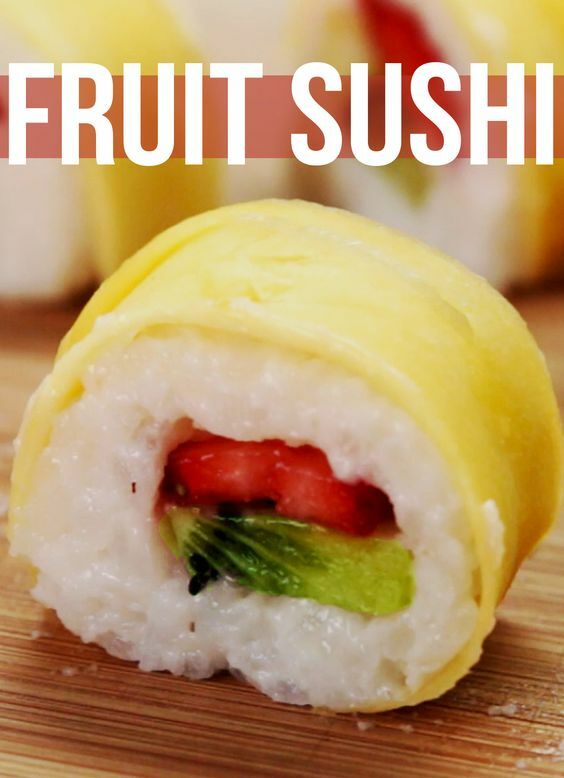 Pinterest is a great tool for finding such recipes! Sweat is a method of detox! Exercise is a key player in building and maintaining your immune army. Sweating is one way the body eliminates toxins from the body, of those we eat, drink, and breath. Exercise is vital for so many reasons, but especially in immune function since movement promotes the circulation of lymph, also part of the immune system. Lymph moves rather slowly and requires movement to get going. Get your kids going by taking them to the park while the weather is tolerable, or take them to some indoor parks or gyms so they can move around with you. Aim for about 30 minutes a day, or even several times a week at the least. There is no supplement for a poor diet, plain and simple. You are what you eat, as commonly said. Start by implementing a lot of plant foods, whole grains and proteins. Dark, leafy greens contain a lot of minerals and vitamins including magnesium, which is vital for bone and muscle health. It can be tough to get kids to eat vegetables, but soups might be your golden ticket here! While a good diet is a pillar to good health, sometimes we need help getting all the necessary nutrients our bodies need. 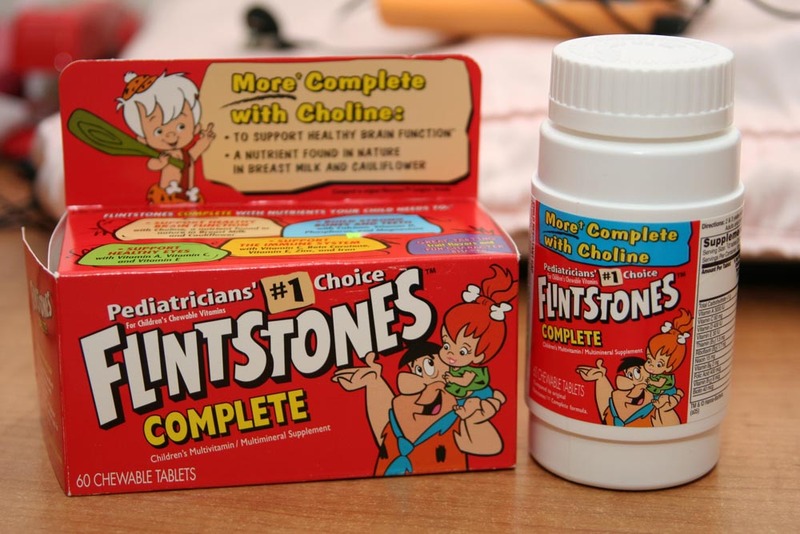 This is where high quality supplements can be useful and sometimes necessary. It is always advised to seek medical advice on what supplements are needed for your family members, so please see your doctor. Vitamin D – In our area of the Northwest, people are generally deficient in Vitamin D, most of the year. There is very little in food and there are only two ways we can get it, from the sun and from supplementation. Our bodies cannot produce it. As a fat soluble vitamin that can build up in the system, consult your doctor about yours and your family’s level and supplement accordingly. Vitamin C – For immunity, Vitamin C is quite well known for getting over illness more quickly. Many vegetables such as colored peppers, oranges, kiwis, broccoli, and tomatoes are high in vitamin C. Orange juice isn’t a great source since it contains high amounts of sugar and is commonly made from concentrate, not real juice. 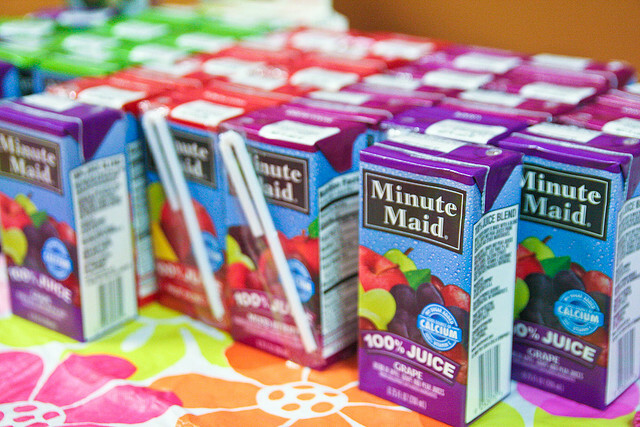 If you can find real juice with no additional sugar, moderation is key! Probiotics – are necessary for gut health, which makes up about 70% of our immune system! Good and bad bacteria are both present in the colon and need to remain balanced for good health. Taking a probiotic can keep the balance and eliminate some of this bad bacteria which improves the overall health and immune response of your body. Talk to your doctor about what probiotics are good for you and your kids. As a parent, the healthy of our kids is always a forethought, especially now that fall is here and cold weather is settling in. While working on these 4 S’s is a good practice for improved health, all year, it isn’t a guarantee for a sick-free season. We still get sick, but when you do and your health is relatively good, chances of remaining sick are far less! Stay tuned for our next article about some habits you can teach your kids to stay healthy and happy at school! If you haven’t heard of oil pulling, you may be thinking it sounds a little contradictory. Many of you probably know that oil is more of a slippery substance with little ability to really “pull” anything, but that is not the case with this type of oil pulling. Despite the advanced technology we have today, this ancient practice of oil pulling has come back from the old days to spike popularity and usefulness once again. 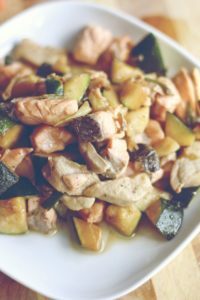 The oil used for this process is typically coconut, sesame, sunflower, grapeseed, vegetable, or olive oil; it will work with whichever you choose. So what exactly do you “pull” with oil? Well, oil pulling isn’t what it seems, in fact, it is basically the use of oil as a mouthwash! The term “pull” is just another word for swishing liquid in your mouth, pushing and pulling it between your teeth. This ancient ritual originated in Indian culture as a folk remedy for healing oral diseases and maintaining oral health, after all, tooth brushes and anti-cavity pastes have not been around forever! So what did people use to keep their mouth clean? Some discovered the powerful properties of rinsing oil in the mouth, particularly coconut oil. Of all the oils you can use, coconut oil has been studied and proven to be the most beneficial to your oral health. This is because it is high in fatty acid known as Lauric acid, which has antimicrobial and antifungal properties. 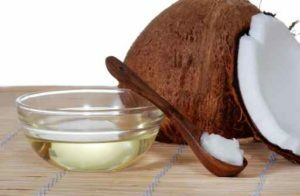 Coconut oil is best unrefined, as is any oil you decide to use for oil pulling, since this is the purest, most natural form. How Does Oil pulling Benefit Your Oral Health? Did you know that your mouth is full of bacteria, good and bad? The truth is, there are a lot of germs in your mouth and they tend to sit on your teeth throughout the day between brushings. Certain bacteria can cause harm to your teeth, resulting in plaque buildup, the gum disease gingivitis, and cavities. Bacteria creates a film know as “biofilm” on your teeth which hardens and turns into plaque. Plaque must be scraped off your teeth at your routine dental cleanings and can cause many problems for your gums if too much of it is allowed to build. So you may be wondering, what part does oil have in the improvement of oral health? Interestingly enough, oil has the ability to “catch “ bacteria and act as a disposal trap. Coconut oil, compared to others, is preferred for pulling since it has antibacterial properties which add effectiveness to the practice. It also tends to taste better than that of olive or sesame oil. A study published in 2008 by the Journal of Indian Society of Pedodontics and Preventive Dentistry has shown: 20 adolescent boys who used oil pulling (using sesame oil) caused a reduction in the number of Streptococcus Mutans (bacteria responsible for tooth decay) in the plaque in as little as 2 weeks. Another study compared oil pulling and regular mouthwash in 20 adolescents with plaque-induced gingivitis. Both oil pulling and the mouthwash were effective against their gingivitis. Each time you swish the oil around in your mouth, it removes bacteria and has even been proven to remove plaque on and between the teeth. An additional benefit to adopting this practice is that oil pulling also reduces bad breath. The chemical gases produced by the bacteria in your mouth are greatly reduced when you oil pull and, in a study of 20 adolescents, oil pulling reduced bad breath just as effectively as regular mouthwash! If you are curious and convinced that this could work for you, its really quite simple! Choose an oil that is unrefined or organic, these tend to work the best. Take about one teaspoon and put it in your mouth, begin to swish it around. Coconut oil is a butter-like consistency with a low melting point of about 78 degrees, so it will turn to oil rather quickly. Swish the oil for about 15-20 minutes. It is best to do your oil pulling on an empty stomach before you brush your teeth. Some of you may think that 15-20 minutes is a long time to swish slimy liquid in your mouth, but if you do it in the shower, while you make breakfast, or get ready for the day, it will be over before you know it. Relax your face and jaw and gently “push and pull” the oil around in your mouth to prevent your jaw from becoming sore. Be sure to spit out all the oil since it will contain plaque and bacteria from your teeth! 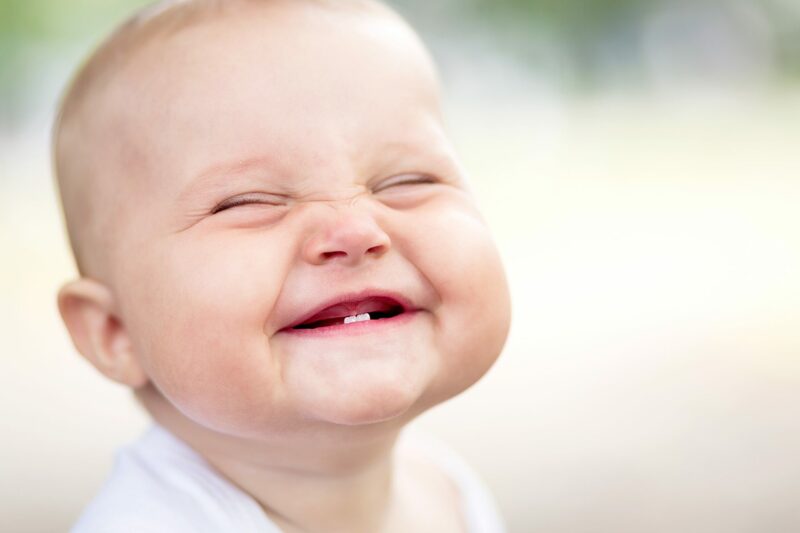 Oil pulling is not recommended for young children since they are susceptible to swallowing the oil. Give this practice a week or two and watch how it can whiten your teeth, freshen your breath, and help prevent cavities! If you have dental problems such as cavities or sensitivity, try oil pulling and see how it can help your teeth. Oil pulling is effective and beneficial to your oral health, so why not give it a try? Everyone knows that a balanced diet is helpful in ensuring good general health. 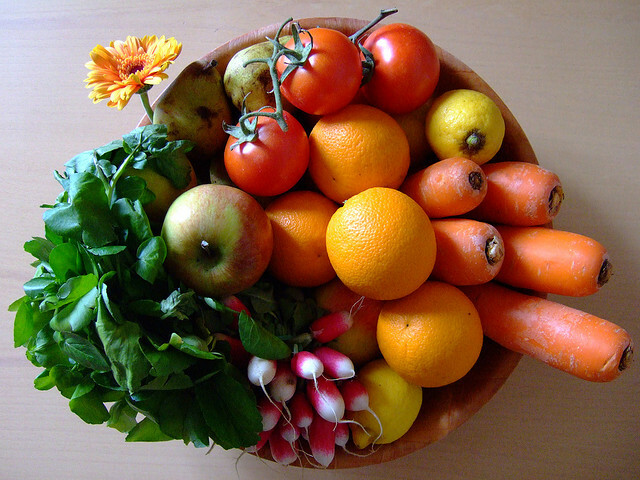 However, very few people realize that a balanced diet is also responsible for good oral and dental wellbeing. This is because the oral cavity serves as the gateway to the digestive system, and all the ingested food first passes through the oral cavity where it is partially digested. Furthermore, the type of diet we have plays a vital role in determining our dental and general health. 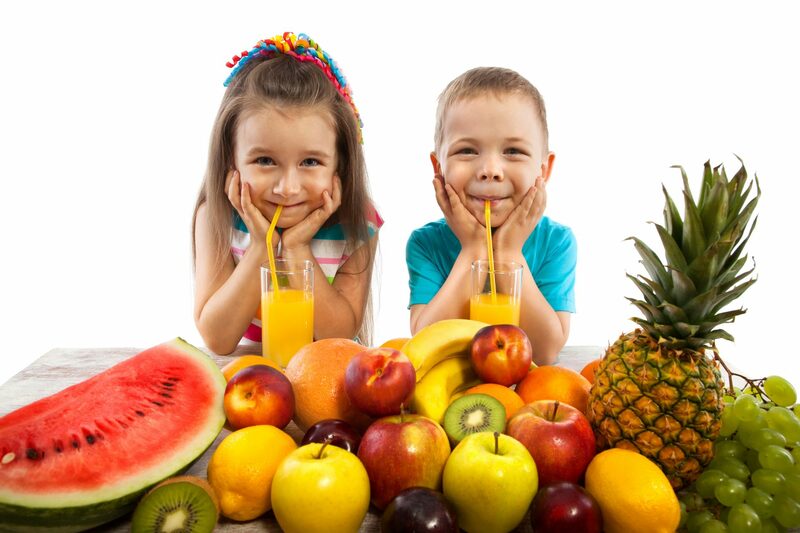 Children of all ages are especially at high risk of having carious teeth or developing other medical and dental problems if the parents are not conscious about their dietary intake. Any diet that is rich in carbohydrates and certain fats should be avoided. Children are especially fond of eating candies and chocolates, all of which contain an excessive amount of processed sugar. Furthermore, bakery products such as breads, pastries, cakes, and pasta, which contain refined carbohydrates, are even more dangerous for the children’s teeth. Research has shown that partial fermentation of the oral cavity starts right from the oral cavity, and as a result the local pH of the mouth is excessively reduced. This acidic environment is highly conducive for the growth and multiplication of caries-causing bacteria, and results in the appearance of widespread carious lesions in the oral cavity (cavities), particularly if the oral hygiene measures are not satisfactory. Acidic foods and drinks such as lemon, grape and orange juices tend to remove the outer protective layer of the teeth known as the dental enamel, which results in tooth sensitivity every time a hot or cold drink is taken. Similarly, carbonated drinks which have been found to be highly acidic and possess surplus amounts of processed sugars, are detrimental to the integrity of the enamel. 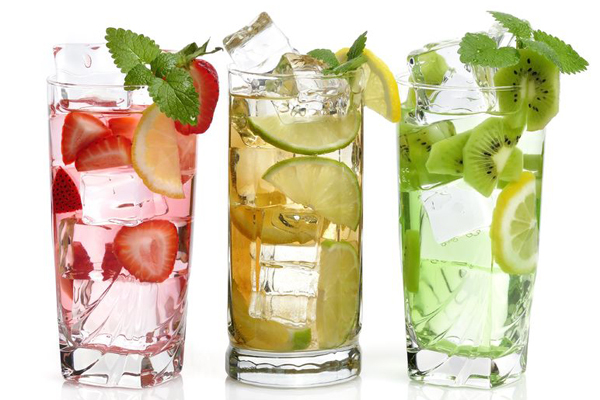 Hence, acidic soft drinks and beverages should not be a routine component of our daily diet. When they are consumed, however, the teeth should be brushed promptly. Deficiency of some minerals such as Zinc, Calcium and phosphate in the daily diet is likely to reduce our body’s resistance to curb infection. Studies have shown that mineral deficiency can enhance to chances of periodontal and gingival infections within the oral cavity. 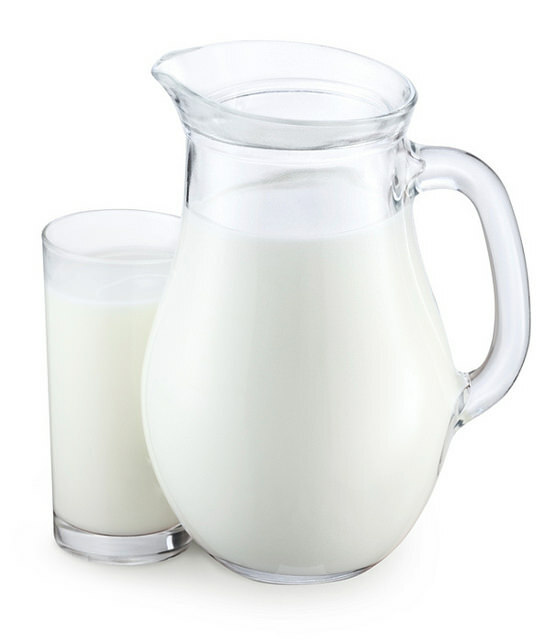 Dietary milk products such as milk, cheese and yoghurt are a rich reservoir of Calcium and few other essential nutrients. Dietary calcium, is highly beneficial in strengthening and development of bones and teeth. Some dairy products, such as yogurt, contain probiotics which are the good bacteria vital for both oral and digestive health. Look for brands that contain Less sugar, real sugar, and probiotics. A protein rich diet such as meat, eggs, fish and milk are the best sources of phosphorous, which in conjunction with calcium, forms the building blocks for healthy teeth and bones. Almost all fruits and vegetables contain abundant quantities of vitamins and minerals such as Vitamin A and Vitamin C, that are essential not only in preventing oral infections, but also enhancing salivary flow which has antibacterial and anti-caries properties. In addition, natural sugars present in fruits and vegetables have been found “less harmful” than artificially sweetened products. The body is also able to process natural sugars found in fruit, opposed to artificial sugar which can be stored as fat. Omega 3 fatty acids, in contrast to other fatty diet components, are considered a beneficial dietary constituent, and not only improve general health, but also enhance resistance against periodontal. Gingival and other maxillofacial infections. Good fats can be found in milk, eggs, avocados, olive oil, and peanut butter. A healthy diet is essential for maintaining an excellent physical and dental health. Apart from that, meticulous oral hygiene maintenance through regular tooth brushing and flossing is required to prevent incidence and progression of dental caries. We all know how important water is for our health, especially in the summertime when we are at the highest risk for dehydration. But if you’re a parent, particularly of toddlers, you know how difficult it can be to get your children to drink anything less tasty than juice! It is a fact, water is the best liquid we can drink for hydration at any time of the year; so much that The American Association of Pediatrics has recommended that children and teens drink water for hydration. They also recommend keeping a distance from drinks that have sugar and/or caffeine like energy drinks, sports drinks and sodas, since these are primary culprits for tooth decay. So when kids are less than thrilled to drink water during the hot summer days, and would rather gulp down a Capri Sun or some apple juice, try some of these tips to not only encourage your child to drink more water, but make it fun and taste great! First and foremost… be a good role model! Children imitate example more than they practice what they are told. If your children see you drinking your recommended 8 glasses of water a day, chances are, they will also! Everything tastes better cold! Right? Not always. If your child has a tooth sensitivity, they may not enjoy the same ice cold water that you do. If this is the case, let water sit to room temperature and then try to give it to your child. On the other hand, many kids like cold water, especially when it is hot, Keep an accessible water dispenser, bottles, or a pitcher in the fridge so that your kids can access it when they are thirsty. Just be careful not to let small children have ice cubes since it can be a choke hazard. Most fruits such as strawberries, watermelon, peaches, and raspberries already contain a mass amount of water in them. Oranges, grapefruit, and melons such as honeydew also contain a lot of water. 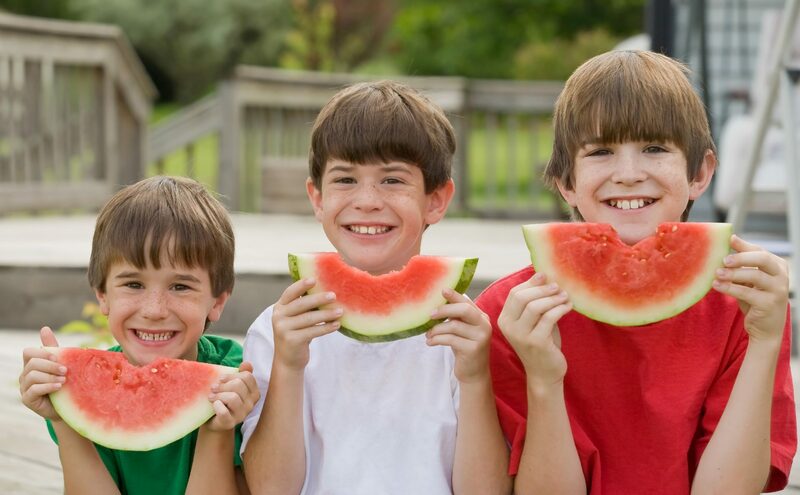 Watermelons alone are made up of 90% water! Fruits like these can add a tasty twist to a plain cup of water, especially if you live in a city with unpleasant tap water. Freeze berries to make “ice cubes” for those hot days! You can even get some ice cube trays that have fun shapes, such as hearts, stars, or some other fun shape. You can get even more creative and use juice for these ice cubes to give the water a little flavor. Like the above, put pieces of fruit in a popsicle tray (or use a dixie cup and a popsicle stick) and fill it with water. Let it freeze and serve to your kids like popsicles. You can even let the fruit stand for awhile prior to freezing and allow it to flavor the water. This is especially effective for toddlers, give them water in a cup they love and you’re sure to see them drink up! Try a cute sippy, a cup with a crazy straw, or one that your child can decorate! You can actually use their favorite piece of artwork, a picture, or have them design something super special. Taking the time to sit with your child and decorate this cup will make it special for them and they will be apt to use it more! When you are at the store, let them pick out a cup they like and use it to give them water. Also, straws almost never fail! Kids love straws and they come in a wide variety of colors and shapes. If your kids get a thrill from carbonated drinks such as soda and sparkling water, then make your own! Some kids may prefer sparkling to still water. Try a naturally effervescent mineral water — which will give you the added benefit of minerals. You can also try bubbly seltzer, a carbonated water. You can add fresh fruit or natural juice flavors to it, or look for naturally flavored seltzers at your local market. Get some ice cube trays that have fun shapes, such as hearts, stars, or some other fun shape. You can get even more creative and use juice for these ice cubes to give the water a little flavor. Steer clear of drink mixes! Try to avoid drink mixes since they tend to include a lot of added sugar, even those that are “sugar free” contain aspartame, an artificial sweetener. Children love to have independence and learn to help themselves. Get little sippy-top water bottles to keep in the fridge on the door or bottom shelf where they can access them. Many kids thrive on given independence! Limiting the choice of fluids in your home will help to keep your child from craving the sugary drinks. Water and milk are great options, and if you decide to have juice, half it with water, especially when introducing it to your toddler. The American Academy of Pediatrics recommends that juice is introduced to toddlers, and if you decide to introduce it to your baby, they should be at least 6 months and the juice should be 50/50 with water. Juice is not bad, but it should be an occasional treat since it has a lot of sugar. Have your child drink a small glass of water before they can have juice or other beverages, this way they have a little control and can decide when to drink. Water is vital to our health, especially that of growing children. Keep you and your family hydrated this summer, without adding calories and sugar to their diet. If your child is particularly difficult about drinking water, make it a game! Offer them a prize, even if it is a little juice for every cup of water they drink up. Remind them that water is important to grow strong and make sure they see you drink plenty yourself! Cheers!